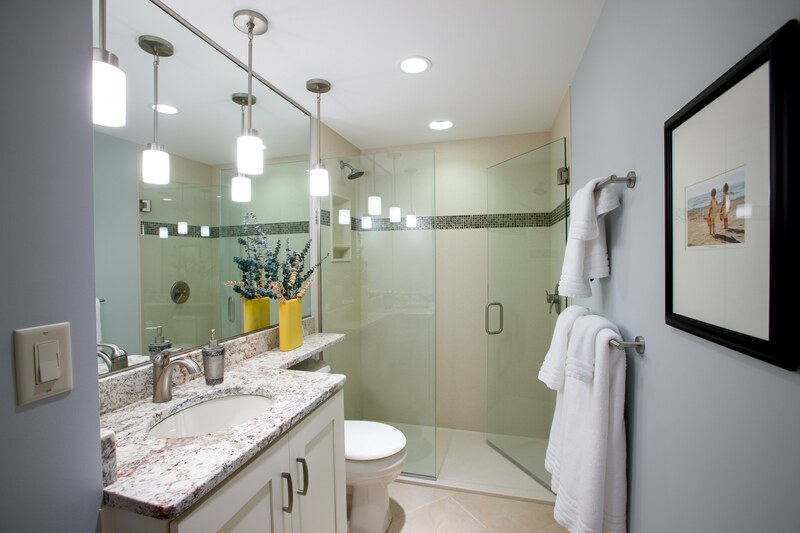 Showplace vanity cabinet in Soft Cream, Onyx shower pan and wall panels, ceramic accent tile, heavy glass shower door, granite vanity tip, pendant lights. Perfectly neat, tidy, and beautiful! 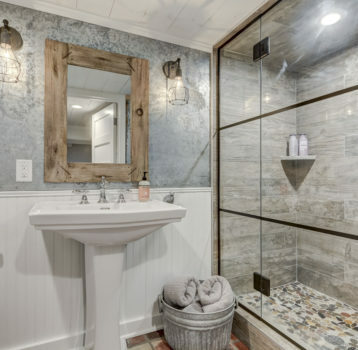 This very modestly sized bathroom remodel is a great example of the space gained when going from a fiberglass shower unit to a thin wall panel and low threshold shower pan. In this remodel, white trumps all for a super clean and classy look. Try on Coconut Onyx wall panels in a modern matte finish, with a classy glass accent tile all showcased with a heavy glass shower door. 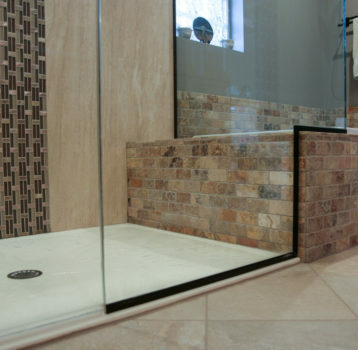 Shower fixture controls secured at the door opening allows for reach in rather than “all in” water turn on. 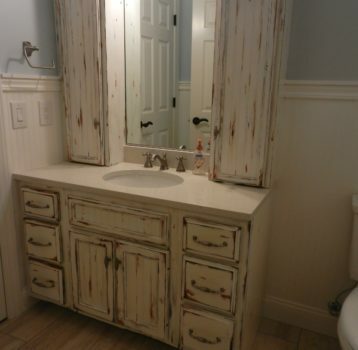 Maximize landing space with a banjo style granite vanity top in White Spring.